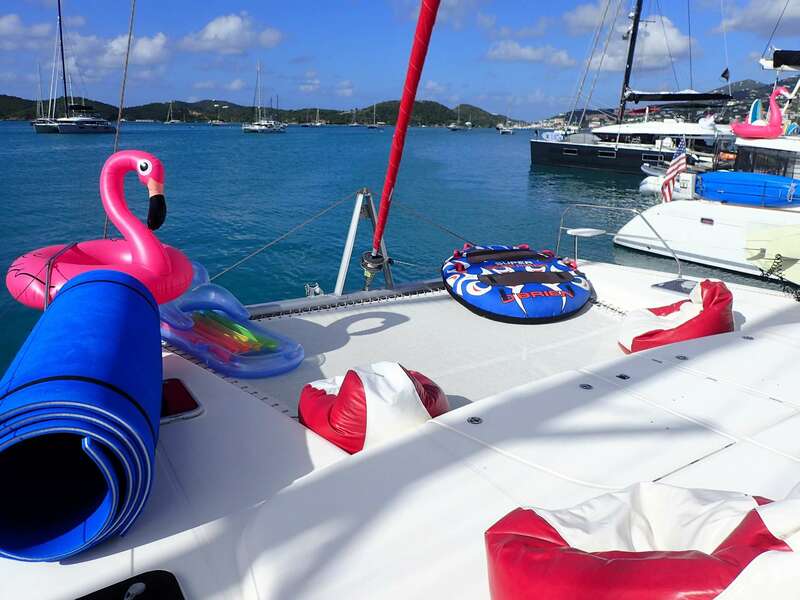 Elixir provides the ultimate Caribbean sailing experience. 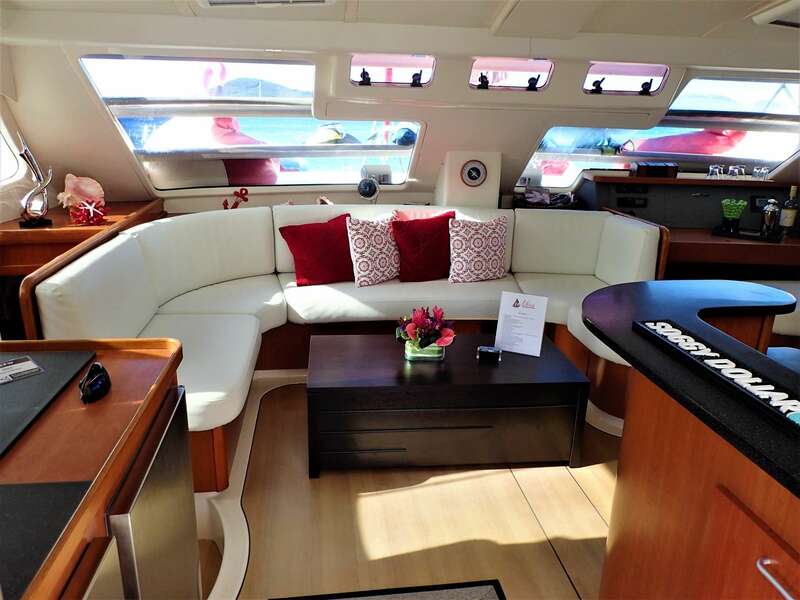 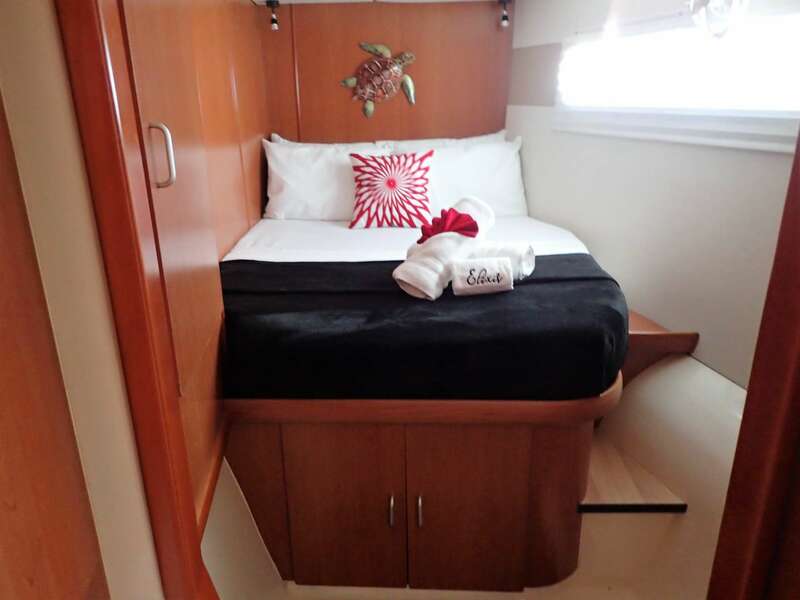 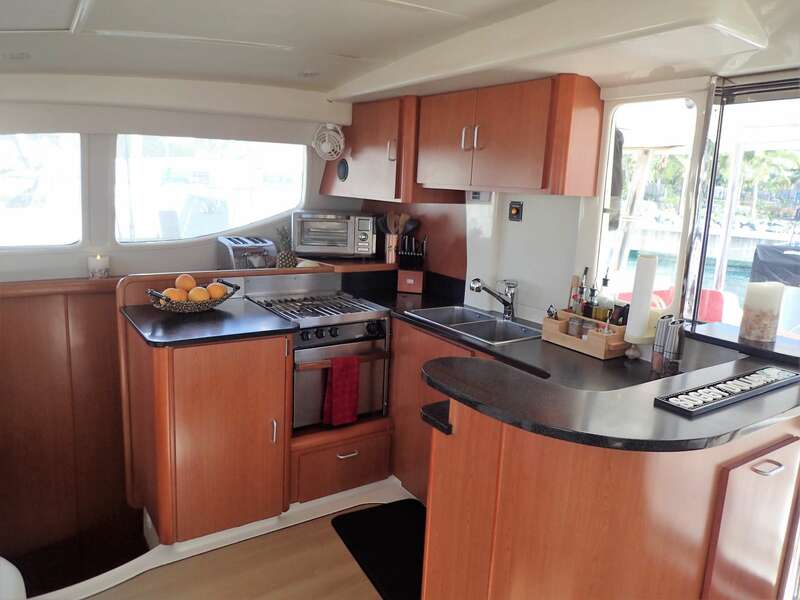 Guests will appreciate the attention to comfort below decks, from the 3 semi-walk around queen beds with colorful bed linens, ensuite electric heads with separate showers, to the big roomy salon and leather couches. 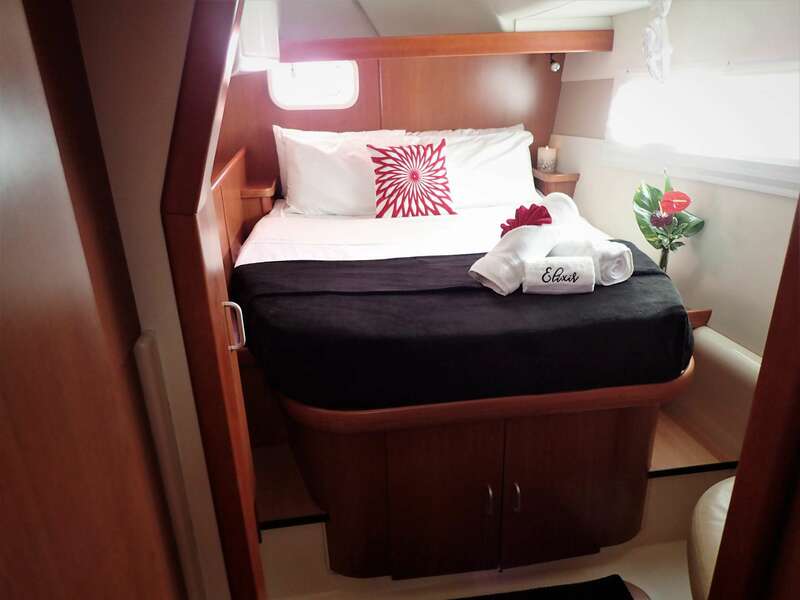 Elixir creates the feeling of being aboard a floating luxury hotel sailing between the best stops in a BVI sailing itinerary. 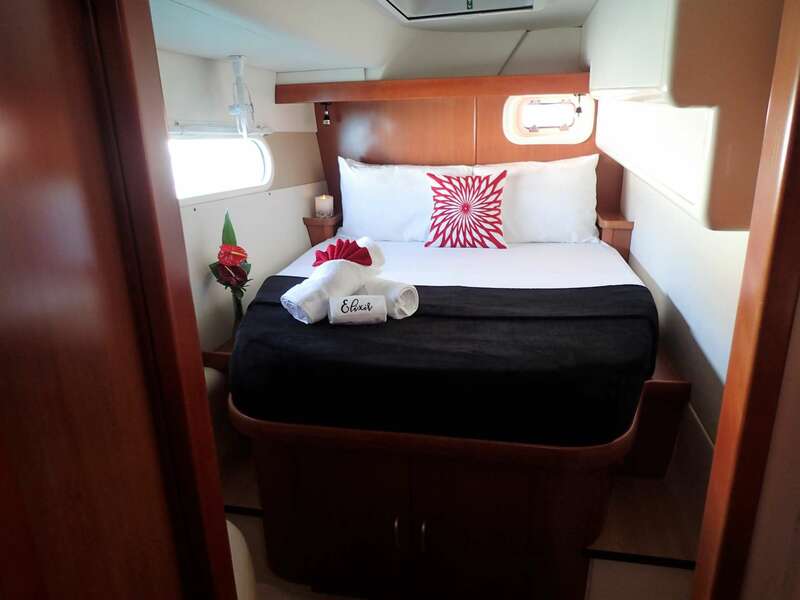 Elixir sleeps 6 guests in 3 queen beds. 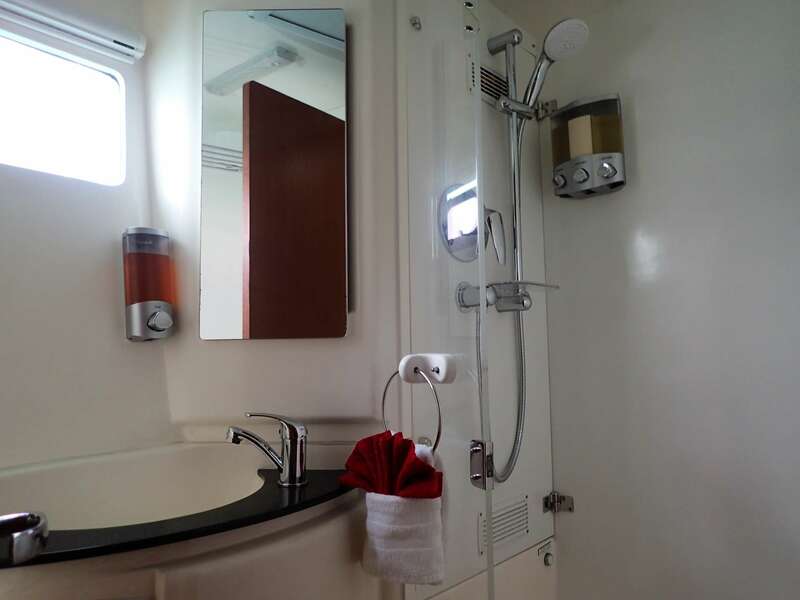 Each cabin has a private head, with separate dry shower. 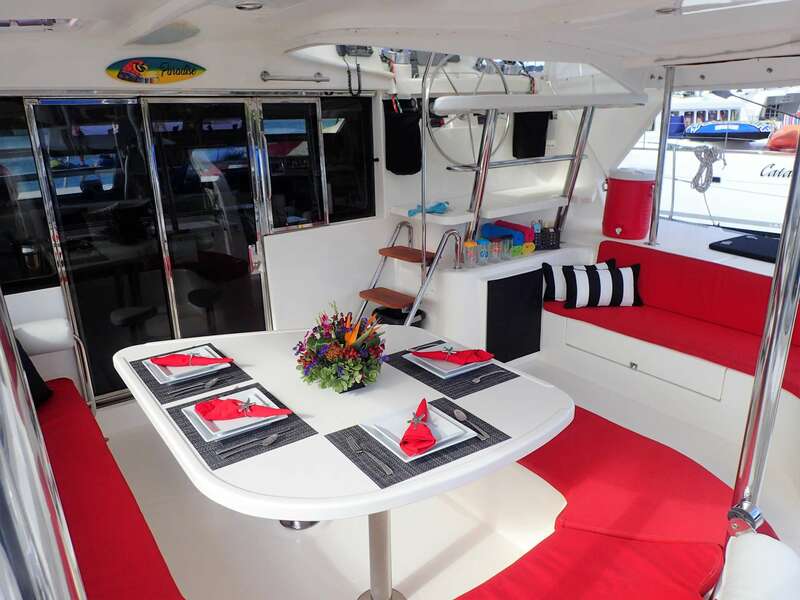 The third queen cabin for guests.